Effective, soft, dynamic, contemporary, elegant, urban, old-fashioned, monochromatic style offers such a plenty of design options with just a tiny piece of imagination in your hand. Don’t believe it? Let’s check it out. New techniques including wall arts or shades of colours can turn your home into a state-of-the-art place. If you’re new to this scheme, try taking a few little steps at first and start with redesigning one room you find important. 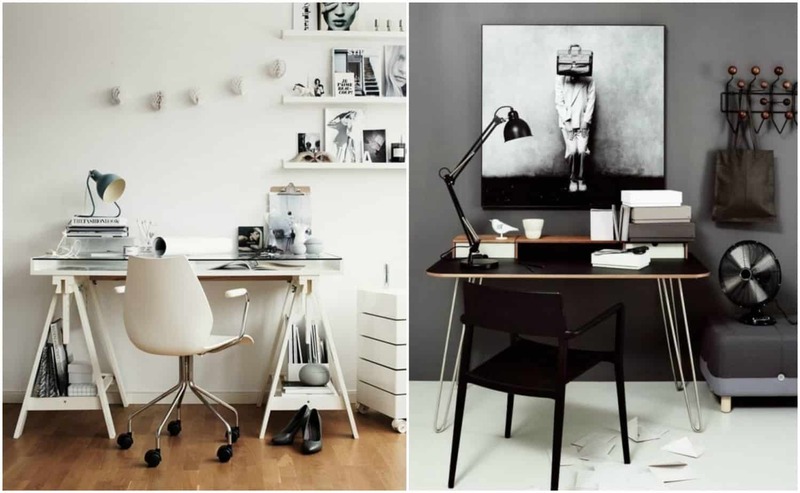 A monochromatic home office seems to be the perfect option. Simple monochromatic design can be incorporated in many different ways, but finding one that suits you best can be a challenging act. Here are some pieces of advice you can turn to while trying to imagine new looks for the space you like a lot. All-white offices are sophisticated, classy and welcoming. 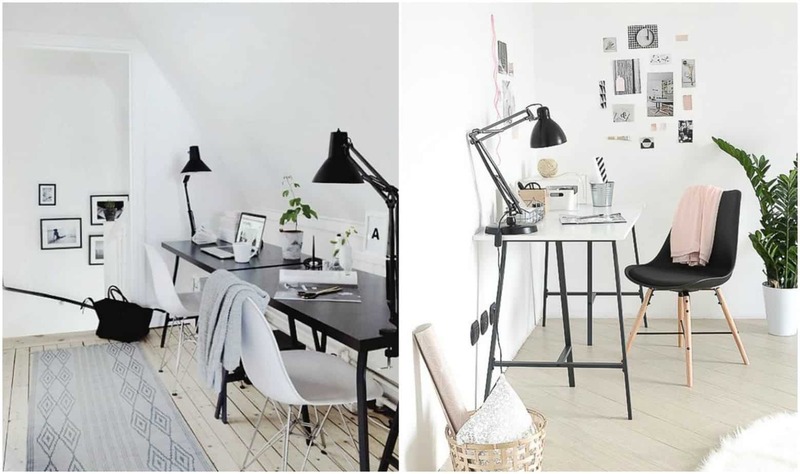 Picking this look for your monochromatic home office has its benefits. Firstly, all-white offices give a sense of cleanliness, serenity and motivation. Secondly, you need to have good organizational skills and an eye for detail if you want to keep your white office spotless and in top-notch shape. An all-white office is anything but sterile and cold. It can truly be a cozy place full of warmth and inspiration if you furnish it with proper furniture and decorate smartly. Don’t cluster it too much and use décor of various shapes, sizes, and materials (like photo frames, rugs cushions) in order to create a cozy nook you’ll enjoy. 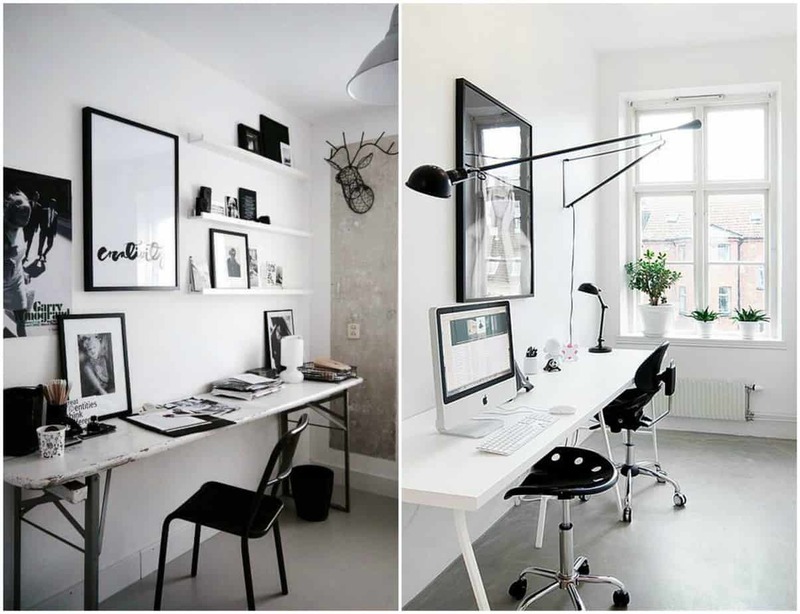 If you decide to use black and white mono scheme for your new monochromatic home office, you won’t make a mistake. This monochromatic option will give your new classy office attitude, dynamics, and energy. Creating a good balance is not that easy, but if you pick texturized materials, and use them well to make contrast, your home office will shatter all expectations. Go for lighter concrete walls and then choose a black cabinet, various black décor and different textural materials to enhance contrast. Black and white is not everybody’s cup of tea. If you want to create warmer and cozier atmosphere in your small home office, opt for one colour and stay within its hue. The walls should a lighter shade, while the focal point in the room could be the desk of a darker shade, and perhaps small sofa, armchair or cabinet. Curtains are always an excellent option to warm up a space, as well as smaller rugs, cushions or even flowers of the same shade. 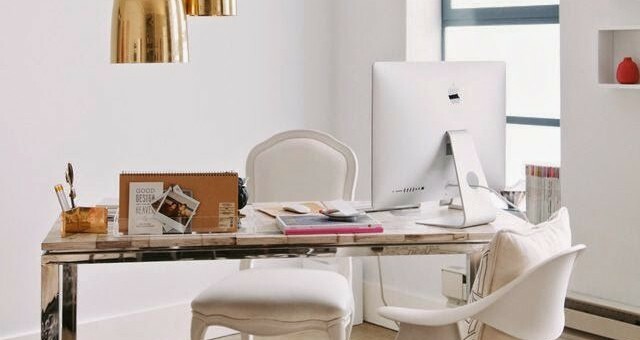 Working in a home office means you need to create an environment that will be distraction-free, peaceful and a bit isolated from the rest of the house, however small it is. Always opt for minimalistic approach when it comes to furniture arrangement, as you need to maximize space for yourself and your potential colleagues and clients. Before you pick the furniture, define the style and pattern that will best suit your needs. Have one or two eye-catching details, like a rug, a lamp or even a desk with a few pieces of décor. You can always check the option of buying light and adjustable desks, if you need to rearrange your office from time to time, depending on the work load and your needs. Hope you have found enough inspiration to set up your own fashionable working environment? A monochromatic home office scheme is both simple and dynamic. It offers so much when it comes to interior design that many of you will, at first, be overwhelmed. However, once you start decorating, try to remember that “less is always more”. Lana Hawkins is an architecture student and the editor-in-chief on Smooth Decorator. 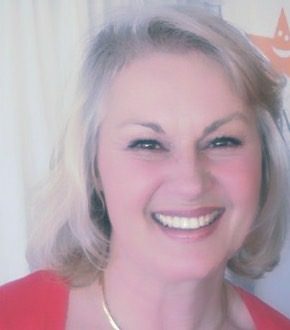 She enjoys writing about interior decoration and landscaping. Lana is interested in sustainability and green building, and that’s where she gets most of her inspiration.